If your dream of a perfect wedding day includes sand, the gentle sounds of waves breaking on the shore, and watching the sunrise or sunset over the ocean, then Couture Card Company's range of beach themed wedding invitations has a match for your special occasion. From watercolour sunsets and waves, to modern floral designs and teal wedding invitations, our range of beach wedding invitations provides beautiful invite options for the modern, contemporary or vintage styled wedding. 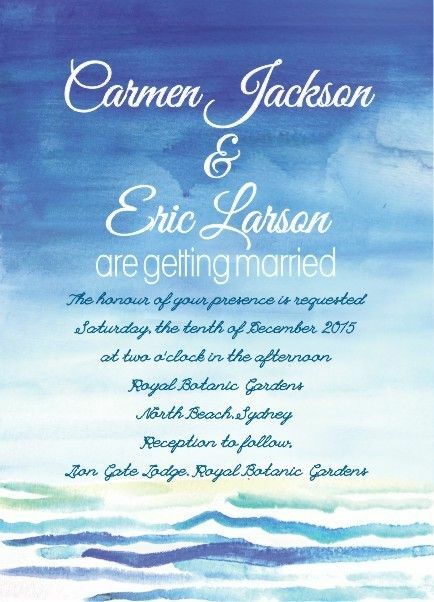 Featured designs shown below are Sunsets and walks along beaches wedding invitation, Waves of blue wedding invitation, Just a song about chevrons in teal wedding invitation and the Seychelles in sand wedding invitation. Featuring a beautiful watercolour design, this beach themed wedding invite is suited to destination weddings, and seaside occasions. With hues of blue, pink, magenta and teal, this design suits a modern, contemporary or vintage styled wedding. With a striking blue design, this dramatic wedding invitation is a watercolour design with feature typography. In shades of blue, this design provides the ideal wedding invitation for a modern or contemporary bride styling her wedding to a beach theme, leaving guests with a memorable impression. 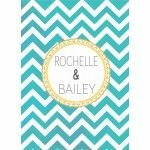 Modern and contemporary, this stylish wedding invitation features a teal chevron design and featured typography. This design suits either a modern and contemporary styled wedding, a vintage styled wedding, or a beach themed wedding. Inspired by the flowers that adorn the dunes of the east coast of Australia, this botanical wedding invitation is uniquely beautiful featuring bright splashes of colour. 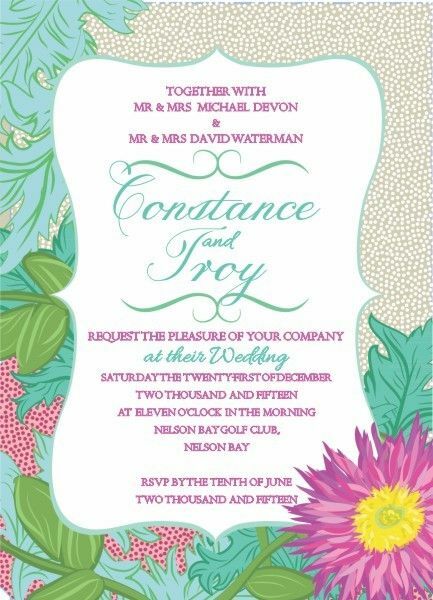 This wedding invite design uses hues of pink, magenta, teal, yellow, purple and blue and suits a beach themed, traditionally styled or contemporary and modern wedding. This design is a favourite of our studio, with its unusual combination of modern colour and botanical art.